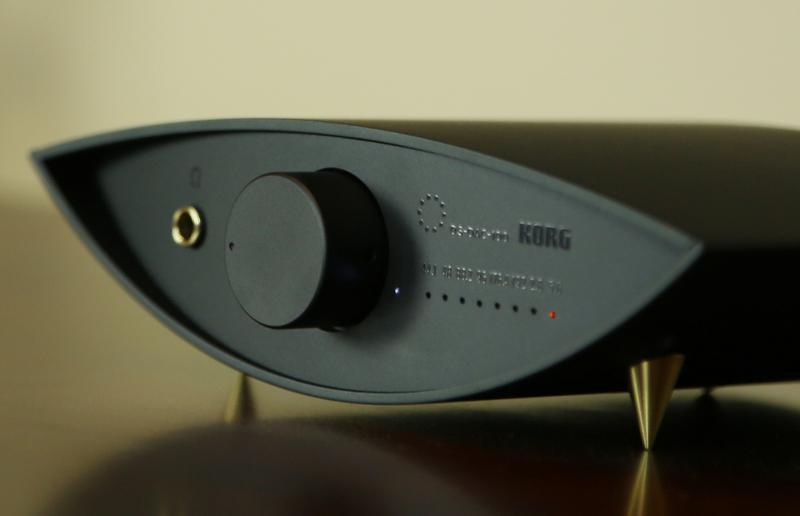 Korg DS-DAC-100: A Qobuz thumbs-up for its high-flying sound and DSD native playback! If you take a look at the rapid rise of Digital to Analogue Converters (DACs), you realise that most of them are smaller companies breaking into the audio market for the first time, which have practically launched, and most importantly boosted, the market driven by dematerialised music. Faced with stiff competition from the well-established Hi-Fi manufacturers, they’re happy to accept a modest chunk of market share, instead focusing their attentions on directly integrating DACs into amplifiers. So that now leads us to Korg, well-established manufacturer of audio material for professionals, that’s just launched its DS-DAC-100 and DS-DAC-100m models – two particularly sharp DACs that can actually play DSD files in their native format! Already well-established as a maker of professional audio equipment?synthesisers, electric pianos, keyboards and other equipment not intended for making music rather than listening to it?Japanese company Korg has launched a significant new offensive in the Hi-Fi market with the very product that represents the future of audio listening: Digital to Analogue Converters that connect by USB to the computer, more commonly known as DACs. Indeed, at the end of 2012, Korg launched the DS-DAC-10 model that seemed to go more or less unnoticed in the European audiophile market (it wasn?t available outside of Japan). 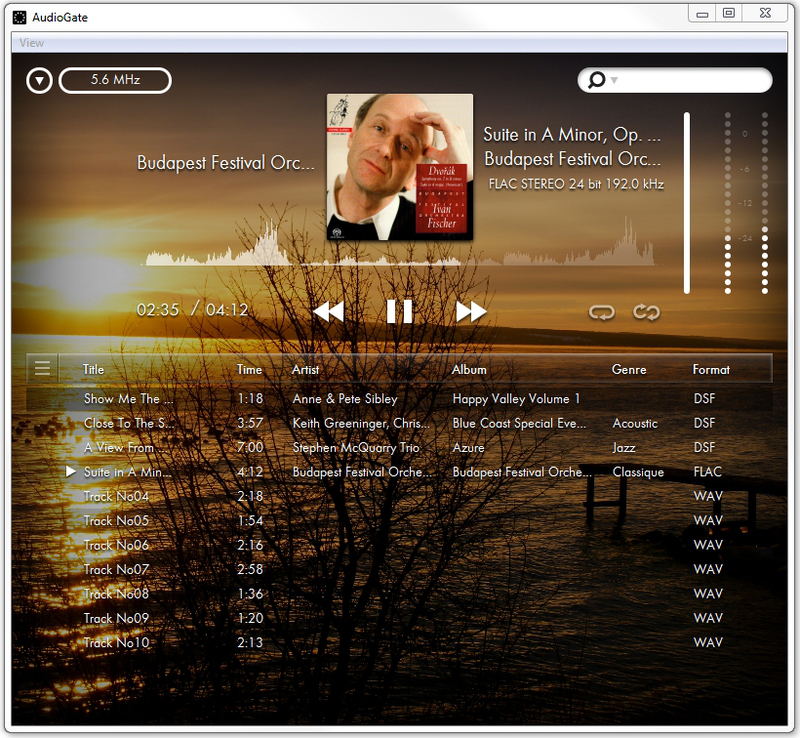 It was a DAC USB that nonetheless had the capacity to play native DSD files from the computer through a conversion chip. Despite having a rare, if not unique, technological feature, the DS-DAC-10 remained sober in its design. In contrast its follow-ups, the DS-DAC-100 (the main focus of our article) and DS-DAC-100m have more daring presentations: an ?intergalactic? design for the former, and the latter, that?s a compact version of the former, has similar dimensions to a portable hard drive. There?s no doubt that Korg, a company that?s almost exclusively catered for audio professionals, has (perhaps sensibly) widened its reach and began catering to members of the general public who still want high-quality audio listening. And they?ve certain done a good job in this respect. But Korg hasn?t (thankfully) put all of its efforts into the appearance of its products. 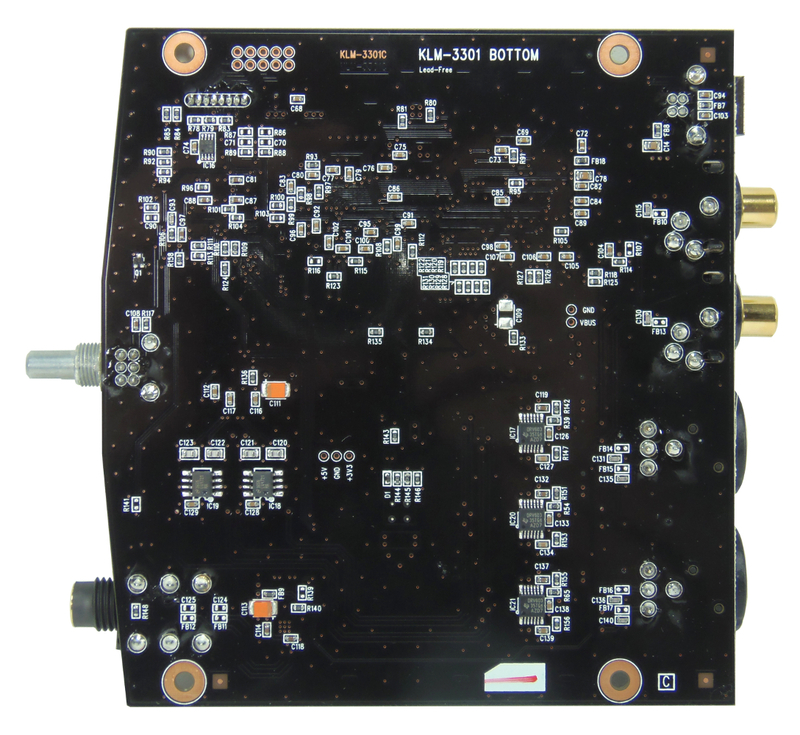 The DS-DAC-100 and DS-DAC-100m are worthy follow-ups of the DS-DAC-10, and are compatible with both native DSDs (in 2.8 and 5.6 MHz) and with PCM signals up to 24 bits / 192 kHz. 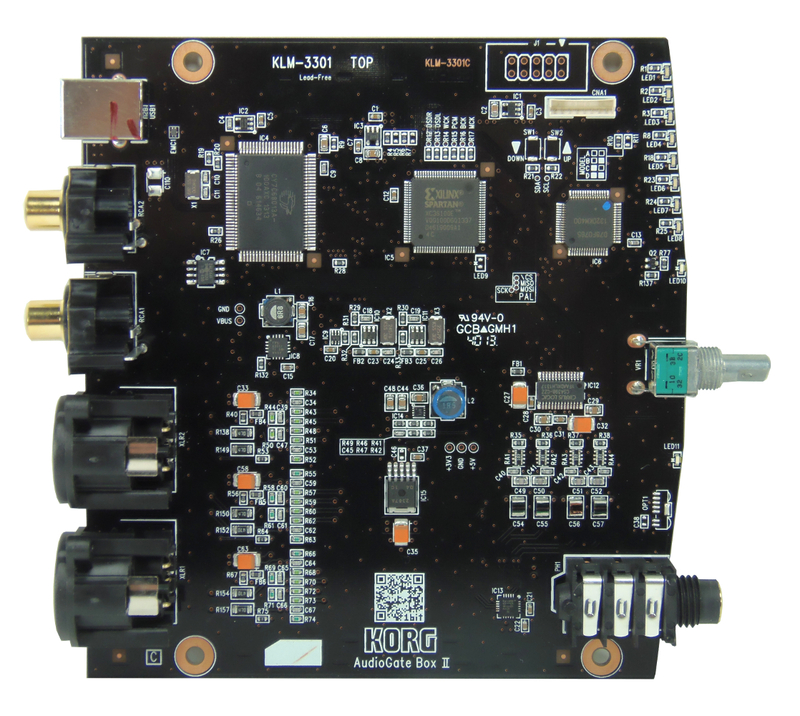 The three DACs have benefited from Korg?s expertise in the DSD domain: the manufacturer has brought out two portable DSD recorders in the past decade, the MR-2 and MR-1000, intended for studio use and capable of recording in DSD64 (2.8 MHz) and in DSD128 (5.6 MHz). Before we reveal the test results of the DS-DAC-100, we?d like to first draw attention to the Audiogate 3 software developed by Korg, that reads and transfers DSDs in native format from the computer (both PC and Mac), as well as converting all PCM files to DSD, whatever their sample and bit rate. Let?s start with the ?intergalactic? appearance of the DS-DAC-100. We think this is a pretty good description given its spaceship-like box balanced on three prongs? But don?t think for a second that this compromises the sturdiness of the product. 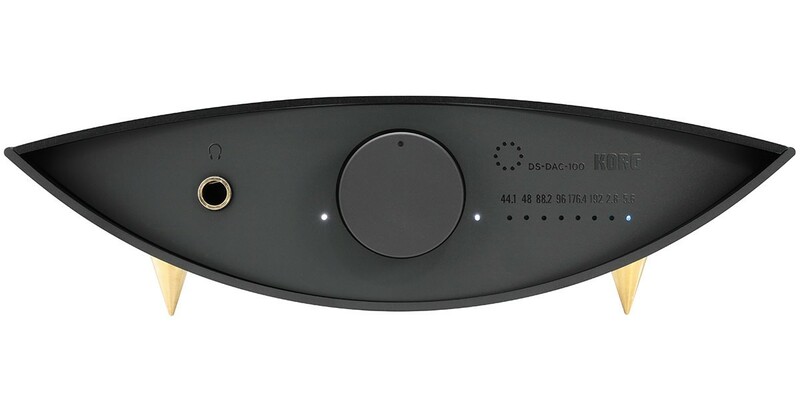 The DS-DAC-100 is solidified by its black satin aluminium casing and its three brass points. The large aluminium volume button controls the headphone output on the left, whereas the numerous LED lights on the right indicate the sample rate frequency, as well as the stage of the DAC during the initial phase after connecting it to the computer. There?s no connection for an external power supply since it is fed via a USB B cable. 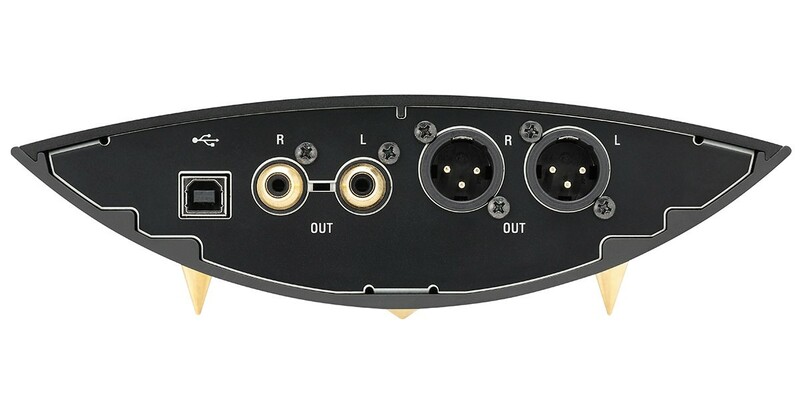 Audio signals are available, albeit fixed, in asymmetric mode on the golden Cinch cables and in symmetric mode on the standard professional XLR connectors. You?ll find everything electronic on one printed circuit that?s professional-looking on the two faces. The conductors are passed through metal holes called ?vias? (it?s worth pointing out that Korg?s DACs are manufactured in Japan, in order to maintain the level of sophisticated fabrication set by its professional audio products). The USB interface is managed by a Cypress CYC68013A low-energy micro controller in asynchronous mode. There?s a network of logical programmable gates (Field-Programmable Gate Arrays or FPGAs), the Xilinx Spartan XC3S100 in which Korg has inscribed its programme of the treatment of signals from the CYC68013A. 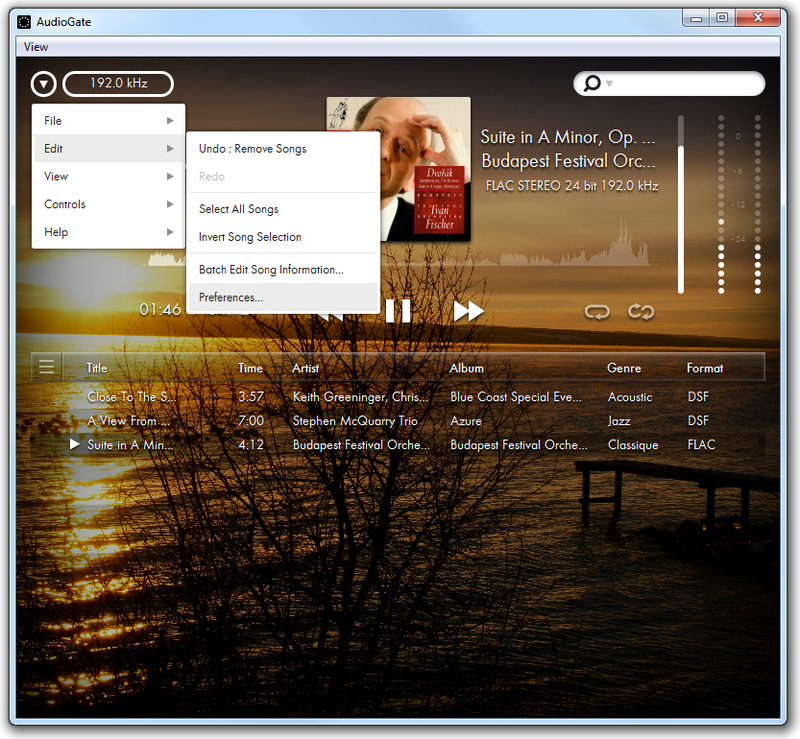 The two quartz at 22.579 MHz and 24.576 MHz allow synchronisation with signals at 44.1 kHz and 48 kHz: the DS-DAC-100 can function in PCM in ASIO mode with Audiogate 3, as well as with other software readers. Right next to the Xilinx circuit, you?ll find a micro controller that manages the card, a NEC ?PD78F0765 model that runs on eight bits. A TPS62111 circuit (a highly efficient DC-to-DC converter), situated next to the quartz, provides the 3.3V tension that?s needed for the DAC?s Cirrus Logic chip CS4398 to function. This CS4398 circuit is one of those rare DACs that?s compatible with DSD files in native format ? in a nutshell, this means that conversion of DSD into PCM is not needed. There have been debates on this subject in various forums and amongst the most enthusiastic of us at Qobuz Hi-Fi Guide. We carefully went through CS4398?s datasheet on which Cirrus Logic has clearly indicated that the DAC also offers an optional path for direct DSD conversion by directly using the multi-element switched capacitor array. Cirrus Logic has also précised: The DIR_DSD bit (Reg 07h) selects between two proprietary methods for DSD-to-analog conversion. The first method uses a decimation-free DSD processing technique that allows for features such as matched PCM level output, DSD volume control, and 50 kHz on-chip filter. The second method sends the DSD data directly to the on-chip switched-capacitor filter for conversion. The signals converted by the CS4398 chip are then removed of all high frequency noise by active filters constructed around high-performing LME49721 operational amplifiers especially designed to function with a unique supply voltage between 2.2 and 5.5V. These are found on the reverse side of the card (labelled IC18 and IC19). They then leave the output jacks through the Texas Instruments DRV603 drivers, using a charging pump generating a negative tension in order to reference 0V signals (analogical entry signals are referenced at 2.5V), and to avoid using liaison condensers to the amplifier that?s linked to the DS-DAC-100. These line drivers are labelled IC17, IC20 and IC21 on the card. There are three of them because one of them runs on the asymmetric stereo outputs, whereas the other two run on only one symmetric mode canal for the outputs of the same name. It?s worth noting that the level of output on the Cinch cables has the same amplitude as the difference in symmetrical signals (positive signal minus identical negative signal = two times positive signal. The principle of the functioning of a symmetrical liaison, also called the differential liaison, which is supposed to eliminate potential parasite signals that might pollute audio signals). The headphone amplifier is a TPA6130A2 Texas Instruments model that?s able to deliver 300 mW in 16 ? and which possesses different entries and a volume setting using a bus I2C (used with the DS-DAC-100m). This electronic setting is not used with the DS-DAC-100, since it wholly relies upon an Alps potentiometer, a reputed brand in this domain. To read DSD files in native format on a PC or Mac, you have to install Korg?s Adiogate3 software, as well as the DS-DAC Driver (for PC and Mac). Audiogate 3 (latest version V3.0.1) , and the drivers are available to download from this page on the Korg website. 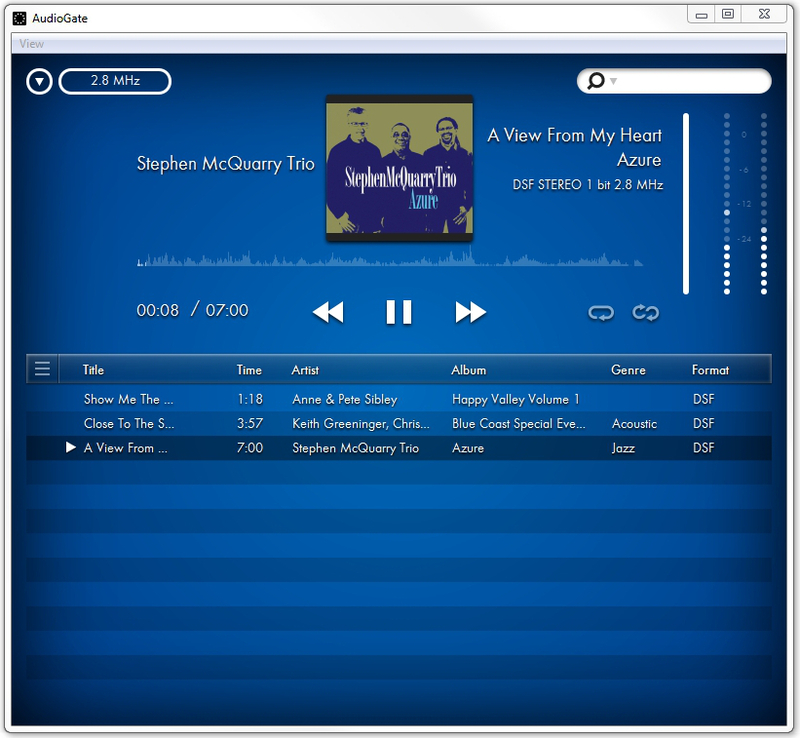 This software?s presentation offers several designs and is customisable. We mentioned earlier that the DS-DAC-100 can convert PCM files into DSD64 or DSD128, and that to do this DSD files need to be read via the Korg Control Panel. 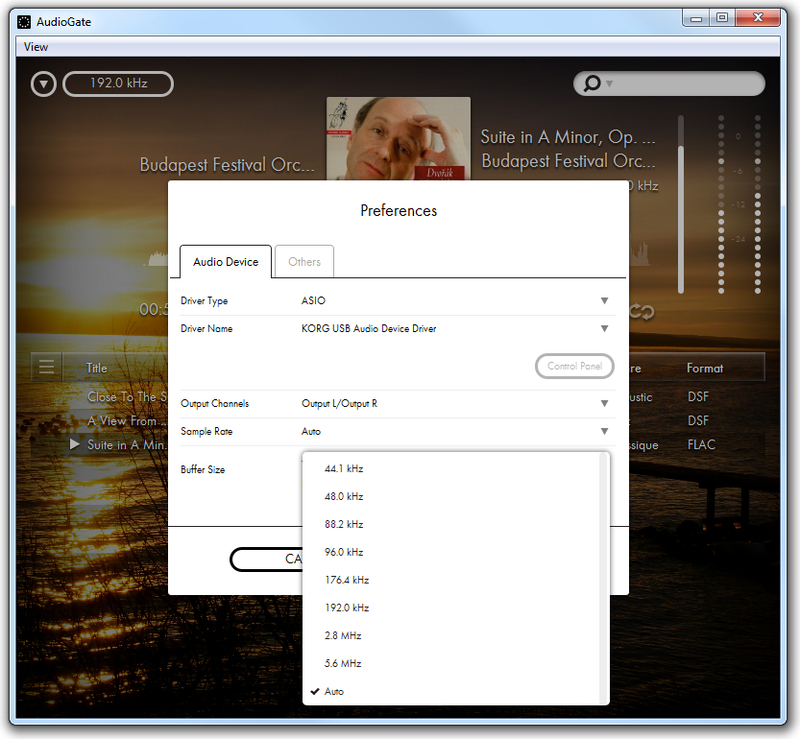 This advanced functionality can be explained by the fact that the Audiogate 3 software was developed by Korg, based on the Audiogate V2.3 software used for audio editing with the DSD MR-2 and MR-1000 digital recorders. You can also change the DSD format to PCM at any moment whilst you are listening, or vice versa, as well as the sampling frequency, therefore marking a brief downtime and the DS-DAC-100 resynchronises on the chosen frequency. To do that you need to click on the situated arrow in the top left corner of the window and select ?edit-preferences?, and then click on the frequency of your choice. 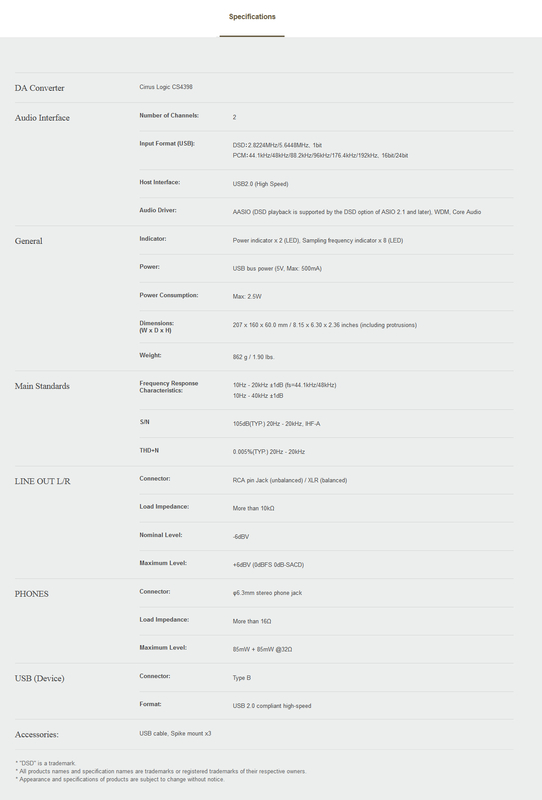 So you might be wondering whether we?re giving you this level of detailed information. Well, we just don?t want you to treat this software like all others, and given the lack of information in the user manual, we felt the need to highlight ourselves the realm of possibilities that the DS-DAC-100 represents! Let?s come on to the DAC?s sound quality. As expected it was excellent. Our main reference point was Henry Wood?s album Fantasia on British Sea Songs, and the Korg DS-DAC-100 provided us many moments of listening pleasure. Although the Audiogate 3 software is capable of converting formats (PCM into DSD amongst others), we listened to Henry Wood?s album in its native format, 16 bits to 44.1 hKz. From the very first notes, we were taken in by the sonorous restoration of the DS-DAC-100; this was carried throughout the piece and even crescendoed during the apocalyptic finale. Nothing is missing and everything is executed very well: a faithful tone quality, ventilation and the finesse of the sonorous message; the delicate touch of the triangle perfectly audible in the introduction of The Saucy Arethusa or the chords in Tom Bowling, culminating until the explosive conclusion of Jack's the Lad; the superb brass instruments supported by the ?sharp? cymbals in Rule Britannia that gloriously conclude this work. From the point of view of musical restoration, we took a journey into the stars when listening to l'Allegro in the 24 bits version at 192 kHz of Anton Dvorák ?s Symphony No. 7 in A Major "American" , by the Budapest Festival Orchestra led by Ivan Fischer. Katy Perry?s Roar from her album Prism really hits you in the guts with its punchy restoration, really bringing out Katy?s voice, and the restored accompaniment brought us happiness in the finest details. And because we wanted to save the best for last, the restoration of DSD files in native format is just simply breathtaking ? we weren?t even aware what these files were really capable of! It?s quality reproduction at its highest level and left us asking for more! Korg lent us a set of Phonon SMB-02 headphones to test the DAC with, developed by a Japanese audiophile who persuaded Korg to manufacture them. The headphones will most likely be proposed as a bundle with the DS-DAC-100, and we?re due to publish a review of these soon at Qobuz Hi-Fi Guide. We used these during several listening sessions, in conjunction with DSD files: in addition to those provided by Korg, we chose Mozart?s L'Allegro from his Concerto for the Violin in D Minor , whose precision and finesse of the restoration in DSD64 (2.8Mhz) as in DSD128 (5.6 MHz) left us flabbergasted? To conclude, you won?t be surprised that we fell for the Korg DS-DAC-100?s charms: it?s a converter that doesn?t just alter the sound for the sake of it, but genuinely offers high quality audio and makes use of a software reader that?s out of the ordinary, allowing the most enthusiastic audiophiles to listen to DSD files in their 100% native format, even if their diffusion is still quite confidential. 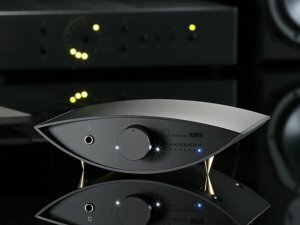 A Qobuz thumbs-up for the DS-DAC-100 ! Korg has just announced the 3.0.2 version of the Audio Gate software! This 3.0.2 version has had a major update, since it?s a complete version that effectively integrates the publishing module, allowing amongst other things the conversion of files by group, standardisation, etc.